1818 H Street, N.W., 20433 Washington D.C. 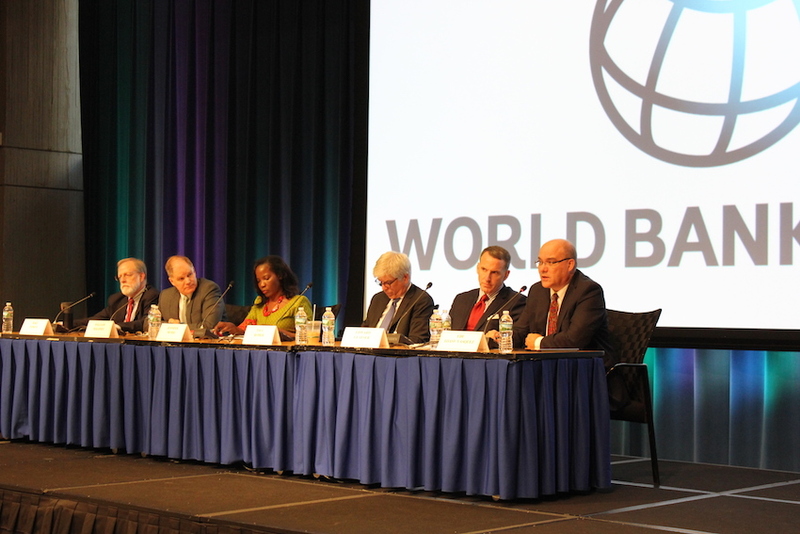 This conference hosted by the World Bank, George Washington University (Institute for International Economic Policy) and the International Growth Centre Cities Program brings together academics and development practitioners to present and discuss the challenges of sustainable urban development in developing countries. One of the great challenges of 21st century cities in developing countries is that they must fulfill the requirements of connectivity in production for businesses and address the negative externalities for consumers of density with extremely limited financial resources and public capacity. This raises the following questions: What national policies strengthen and weaken developing world cities, and what infrastructure investments deliver the largest growth benefits? In particular, the aim of this conference will be to reflect upon how cities in developing countries should focus their efforts on improving their land and housing sector (see Session 1: Land), their transportation networks (see Session 2: Transportation), or their sanitation infrastructure (see Session 3: Public Services). In other words, how can we build, or rebuild, cities in the future in order to promote economic growth and reduce poverty? 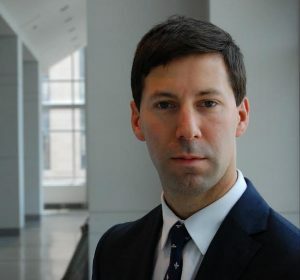 Rémi Jedwab is an associate professor of Economics and International Affairs at the Elliott School and the Department of Economics of George Washington University. He received his Ph.D. in economics from the Paris School of Economics. He was also a visiting Ph.D. student at the London School of Economics for three years. Professor Jedwab’s main fields of research are development and growth, urban economics, public economics and political economy. Some of the issues he has studied include urbanization and structural transformation, the relationship between population growth and economic growth, the economic effects of transportation infrastructure, and the roles of institutions, human capital and technology in development. His research has been published in the American Economic Review, the Review of Economics and Statistics, the Economic Journal, the Journal of Economic Growth and the Journal of Urban Economics. Recently, Professor Jedwab’s research areas have included the phenomenon of urbanization without economic growth, and his research has been highlighted by The Atlantic’s CityLab and the Boston Globe. Edward Glaeser is the Fred and Eleanor Glimp Professor of Economics at Harvard, where he also serves as Director of the Rappaport Institute for Greater Boston. He studies the economics of cities, and has written scores of articles on urban issues, including the growth of cities, segregation, crime, and housing markets. He has been particularly interested in the role that geographic proximity can play in creating knowledge and innovation. He received his Ph.D. from the University of Chicago in 1992 and has been at Harvard since then. Maggie Xiaoyang Chen is the Director of the Institute for International Economic Policy and Professor of Economics and International Affairs at George Washington University. Professor Chen’s areas of research expertise include foreign direct investment, international trade, and regional trade agreements and her work has been published extensively in academic journals. 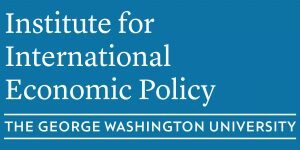 She has worked as an economist in the research department of the World Bank, a consultant for various divisions of the World Bank and the International Finance Cooperation, and a trade policy advisor at the U.S. congressional Budget Office leading policy analyses on the Trans-Pacific Partnership Agreement. She has also held visiting professor positions in various universities including Boston College and University of International Business and Economics in Beijing, China and is a co-editor of the Economic Inquiry. Professor Chen received her Ph.D. and M.A. in Economics from the University of Colorado at Boulder and her B.A. in Economics from Beijing Normal University. Craig Kesson is the City of Cape Town Executive Director for the Directorate of the Mayor as well as the Chief Resilience Officer, in partnership with the 100 Resilient Cities Programme. He has worked in several senior roles in city management and has advised a number of metro governments. He previously served as the National Director of Research for South Africa’s Official Opposition. He is a graduate of the University of KwaZulu Natal, the University of Stellenbosch Business School, the University of Liverpool, and the University of Oxford where he was a Rhodes Scholar. His specialisations are in public policy and strategy; project portfolios, and operations modelling. He is the co-author with Mayor Patricia De Lille of an upcoming book on the nature of city leadership and management planned for publication in August 2017. Marianne Fay is the chief economist for climate change at the World Bank. She co-directed the World Development Report 2010 on Climate Change. Ms. Fay has served in multiple regions in the World Bank, including Eastern Europe and Central Asia, Latin America and the Caribbean, and Africa, working on infrastructure, urbanization, and more recently on climate change and green growth. Her research has explored the role of infrastructure and urbanization in development, with a particular focus on urban poverty, climate change, and green growth, on which she has authored numerous articles and books. As chief economist for sustainable development, she led the World Bank’s flagship report for the Rio+20 UN Conference on Sustainable Development, Inclusive Green Growth: The Pathway to Sustainable Development. Horacio has more than 20 years of professional experience in the urban-environmental field, having worked both in the private sector and multilateral development organizations. He has just rejoined the World Bank as Lead Urban Specialist for the Latin American Region focusing on cities and Resilience. During the previous 6 years he worked at the Inter-American Development Bank (IDB) as the Coordinator of the Emerging and Sustainable Cities Initiative (ESCI) and also as Principal Water Specialist. Before the IDB Horacio worked for 11 years as a Senior Environmental Specialist at the World Bank, leading the urban environmental agenda in the Latin American Department. Prior to that, he worked in the private sector as a Project Manager for environmental engineering companies providing treatment and final disposal of hazardous substances. Horacio was trained as a mechanical engineer at the National University of La Plata in Argentina and holds a Master’s in International Economics and International Relations from the Johns Hopkins University School of Advanced International Studies (SAIS). Gilles Duranton is Professor of Accessibility and Mobility in Urban India and holds the Dean’s Chair in Real Estate. He joined the Wharton School in 2012 after holding academic positions at the University of Toronto and the London School of Economics. A graduate from HEC Paris and Sorbonne University, he obtained his PhD in economics jointly from the London School of Economics and the Ecole des Hautes Etudes en Science Sociales in Paris. His research focuses on urban and transportation issues. His empirical work is concerned with urban growth and the estimation of the costs and benefits of cities and clusters. He is also interested in the effects of transportation infrastructure on urban development and the evaluation of local policies. He also conducts theoretical research to gain insight about the distribution of city sizes, the skill composition, and sectoral patterns of activities in cities. 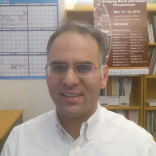 Somik V. Lall is a Lead Economist for Urban Development at the World Bank’s Urban Development and Resilience Unit in the Sustainable Development Network. He is the lead author of a World Bank report on urbanization “Planning, Connecting, and Financing Cities Now: Priorities for City Leaders.” He was a core team member of the 2009 World Development Report “Reshaping Economic Geography”, and recently Senior Economic Counsellor to the Indian Prime Minister’s National Transport Development Policy Committee. Somik currently leads a World Bank program on the Urbanization Reviews, which provides diagnostic tools and a policy framework for policymakers to manage rapid urbanization and city development. His research interests span urban and spatial economics, infrastructure development, and public finance. He has over 40 publications featuring in peer reviewed journals, edited volumes, and working papers. Somik holds a bachelors degree in engineering, masters in city planning, and doctorate in economics and public policy. Maisy Wong is an Associate Professor of Real Estate at the Wharton School at University of Pennsylvania. Her current research interests include household mobility and sorting behavior, urbanization in developing countries, and real estate finance. Her research has been published in journals such as the American Economic Review, Review of Economic Studies, AEJ: Applied Economics, and Journal of Finance. She holds a Ph.D. in Economics from Massachusetts Institute of Technology and a B.A. in Economics from the University of California, at Berkeley.